The Catholic church was very important in bringing education to St. Louis and the frontier beyond. 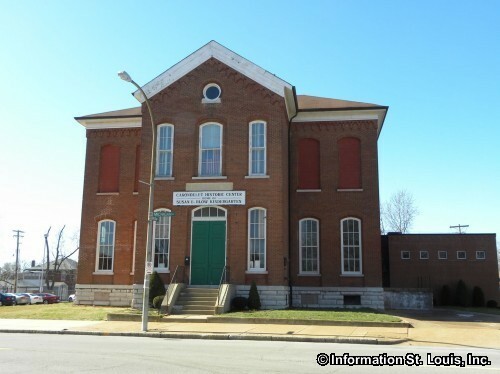 Catholic education was established in the young city in 1818 with Catholic elementary schools in the city of St. Louis and a Catholic seminary in Perryville. Today, the St. Louis Archdiocese Catholic School system is the largest school system in Missouri. There are 121 elementary schools and 30 high schools with about 50,000 students enrolled in these schools. Some of the early Catholic high schools that are still in existence are Visitation Academy founded in 1844, Christian Brothers College (CBC) High School founded in 1850 and Rosati-Kain which were two schools that were founded separately in 1911 and then merged in 1912. The residents of the City of St. Louis are served by the St. Louis Public School District . 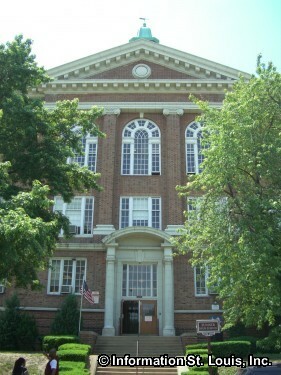 St. Louis public education was established in 1838 with the opening of several elementary schools. By 1860, there were 23 elementary schools and Central High School, the first high school west of the Mississippi which opened in 1853. The first public Kindergarten in the United States was opened in the St. Louis Public School system in 1873. Susan Elizabeth Blow, daughter of Henry Taylor Blow who was a member of the US House of Representatives from 1863 to 1867, studied the Kindergarten method in Germany and brought it back to St. Louis. She convinced the then Superintendent of Schools, William Torrey Harris, to allow her to try the methods at the Des Peres School located in the Carondelet Neighborhood. It was a huge success. 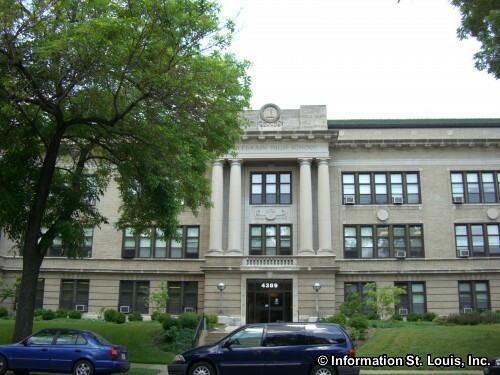 The St. Louis Public School system also established Sumner High School in 1875, the first school for African-Americans in St. Louis. Today, the St. Louis Public School District has 65 schools, with eight of them being high schools. Those public high schools are Vashon High School, Roosevelt High School , Sumner High School , Beaumont High School , Gateway High School, Soldan High School, Central High School and Carnahan High School. St. Louis is said to have the highest concentration of Catholic high schools of anywhere in the United States. The Catholic Archdiocese of St. Louis operates 23 private Catholic schools within the city. Six of them are high schools and the others are schools that serve students in Kindergarten or Pre-school through 8th grade. Those six private high schools are Cardinal Ritter Prep, St. Elizabeth Academy, Bishop Dubourg High School, Rosati-Kain , St. Mary's High School and St. Louis University High Schoolb. There are also many other educational options operating in the city such as charter schools or independent public schools. St. Louis County has over 300 public and private elementary, middle and high schools within its borders with over half of them being private and/or parochial. Twenty school districts, some large with multiple high schools and others small with only one high school, have divided the county into large and small pieces. Catholic schools represent most of the private schools that are in St. Louis County. Lutheran elementary, middle and high schools are also found in St. Louis County. There are several large public school districts serving the residents of St. Louis County. One of them is the Hazelwood School District, located in North St. Louis County, has three high schools, Hazelwood East, Hazelwood Central and Hazelwood West . The district serves students in the communities of Florissant , Hazelwood, Black Jack and Spanish Lake. The Parkway School District is another large public school district with four high schools, Parkway North, Parkway Central, Parkway West and Parkway South. Parkway serves the residents of West St. Louis County from Maryland Heights to Chesterfield to Creve Coeur. Rockwood School District covers another large part of West St. Louis County and also has four high schools, Rockwood Summit High School in Fenton, Lafayette High School in Wildwood , Marquette High School in Clarkson Valley and Eureka High School in Eureka. Mid St. Louis County has smaller public school districts with one high school and are more community based compared to the larger school districts in West and North St. Louis County. 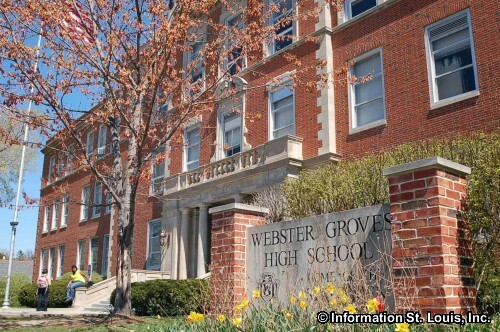 Some of those public school districts include Webster Groves School District, Kirkwood School District, Ladue School District, Jennings School District and Ritenour School District. South St. Louis County also has smaller districts which include the Mehlville School District, Bayless School District, Hancock Place School District and the Lindbergh School District. 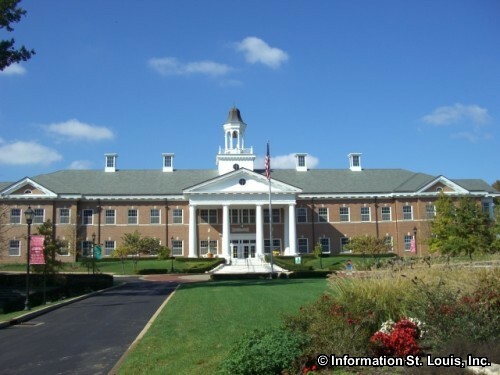 There are many private high schools located in St. Louis County. Catholic high schools include CBC High School, Incarnate Word Academy, Desmet Jesuit High School, St. Joseph's Academy, John F. Kennedy High School and many others. There are three Lutheran high schools which are Lutheran High School, Lutheran North High School and Lutheran South High School. Independent private high schools in St. Louis County include MICDS in Ladue, North County Christian High School in Florissant, Whitfield School in Creve Coeur and Westminster Christian Academy in Town and Country. For a list of all schools, private and public, and school districts, see the links in the side bar.